Statistical primer: basics of survival analysis for the cardiothoracic surgeon. Author: Daniel J.F.M. Thuijs et al. Surgical repair of atrioventricular septal defects: incidence and mode of failure of the left atrioventricular valve. Author: Thierry Bové et al. 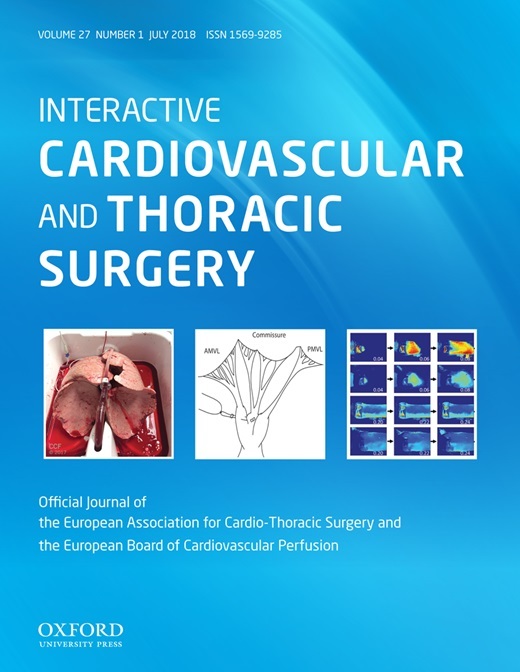 Risk factors for spinal cord ischaemia after thoracic endovascular aortic repair. Author: Toshifumi Hiraoka et al. 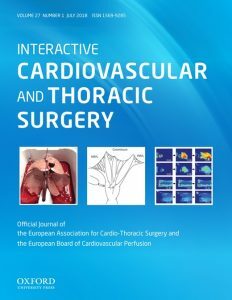 Extracorporeal resuscitation as a further modifier of clinical outcome in patients with left ventricular assist device implantation and Interagency Registry for Mechanically Assisted Circulatory Support level 1. Author: Edis Ljajikj et al. Acute exercise is not cardioprotective and may induce apoptotic signalling in heart surgery: a randomized controlled trial. Author: Benedikte T. Smenes et al.